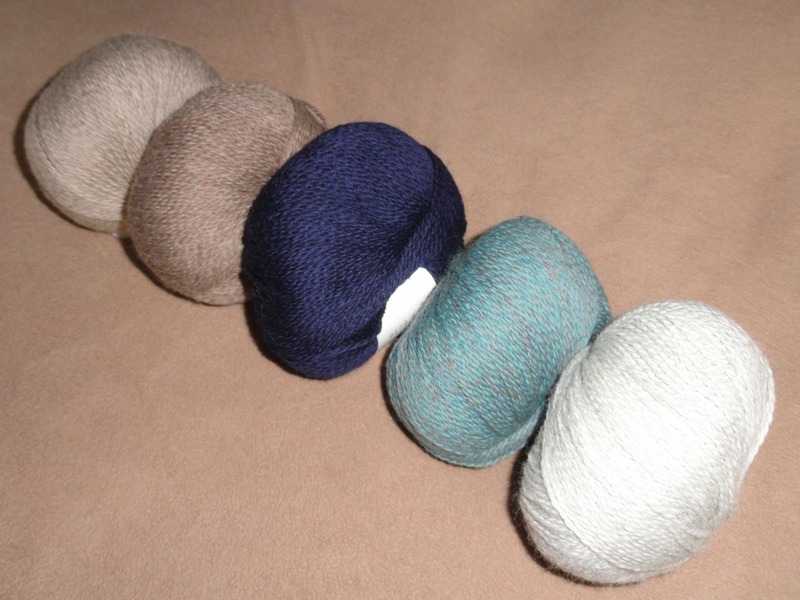 What would you do with 150 different colors of wool? I want to make an afghan, and I’m having a difficult time choosing the pattern. I have 50 projects in mind. I have more possible projects pinned on my Pinterest board. I have surfed mercilessly to make a decision. I really don’t know what pattern to choose…or should I create my own? You can help me decide. If this were YOUR decision to make, what would you do? If I follow your suggestion, how about a giveaway? This color combo is inspired by this pin. Thanks so much in advance to taking time out of your day to lend me your ideas! I always like the Granny Square afghans. You can use all your colors in various granny squares – they can be every shape and size. hmmmm …thinking…. I’ve just gone through your Pinterest board, and what inspires me the most – for what you have on your hands – is the Kaleidoscope blanket. You could probably get about 4 squares out of each ball, and work them in to a design that graduates in the colours of the rainbow (roughly). in chunks of colour, if you know what i mean. I have always loved making a blanket in stripes, though, and I have a feeling that is what I would do with your wool – maybe going from light to dark, or with some other colour connection – contrast? random? i actually have no idea, and i’m probably the last person to be trying to think creatively at the moment. If you do squares, they all have to be joined. Stripes don’t. heh. Well if it was my box of rainbow I would just dive straight in and start with a simple pattern in my head….a granny stripe or ripple each row or two going from light to dark….simple yet striking! Looking forward to see what you decide! You could make so much with that! If you wanted just one project, I imagine the most colorful, awesome afghan in the world! Or, you could make a bunch of mini projects like hats or amigurumi. 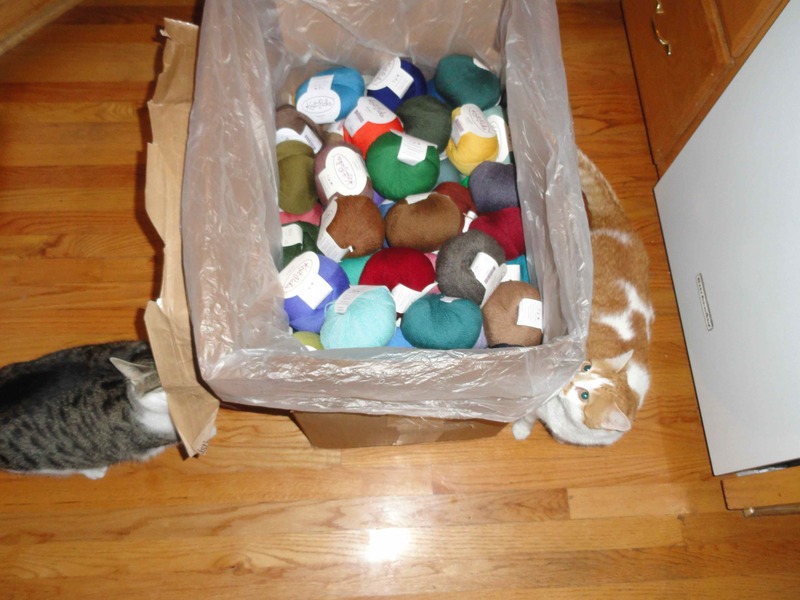 That’s such an exciting box full of yarn! The possibilities are endless. I, too, would make and afghan.I think a stripe of some interesting stitch, dark colors at each end, getting lighter toward the middle, meeting with your lightest color. Whatever you do it will be beautiful! As a first thought. I would work out what size of afghan I want to make and get an idea of how many balls of yarn you would need. It may not use all your balls. I think there is something to be said for not having too many colours. So choose a harmonious set. I think stripes of some sort rather than squares or hexagons would be easier with many colours. But stripes can be ripples or other interleaving patterns. Then think of a stripey pattern you would enjoy working. I’ve had my eye on this pattern for a while: http://winkieflash.nl/patterns/groovy-ghan-en/ it is adorable! And pretty quick I have been told! Next Next post: crochet:: regardless of my inability to choose a pattern, we have a winner!